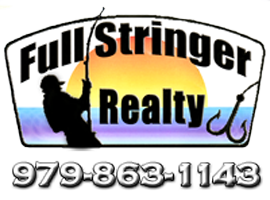 Full Stringer Realty specializes in vacation rental properties in Matagorda, Texas. Located on the Texas Gulf Coast, we are a full service real estate company that wants to assist you in finding that special vacation home, condo or fishing cabin for your family and friends or for a corporate retreat. Using our alliances with the fishing industry and tourism trades, we can put together a memorable coastal vacation.